For an ultra comfortable and versatile t-shirt, try these Gildan Ultra Cotton T-Shirts on for size. 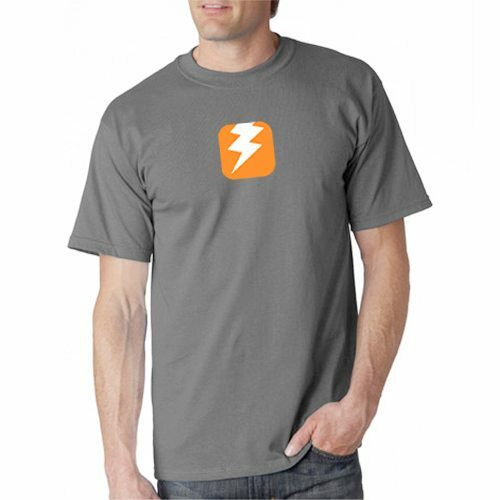 The short sleeve t-shirts weigh in at 6.1 ounces per yard, and the 100% preshrunk cotton composition is both comfy and durable. Fret not about wear or tears with the double-needle stitching on the sleeves and hem. Choose from the following sizes: S, M, L, XL, XL, XXL. Conditional exchanges are accepted. If the shirt is damaged then simply return ship for a new one. There may be slight imperfections with any screen-printed production. Sizing is the responsibility of the customer. 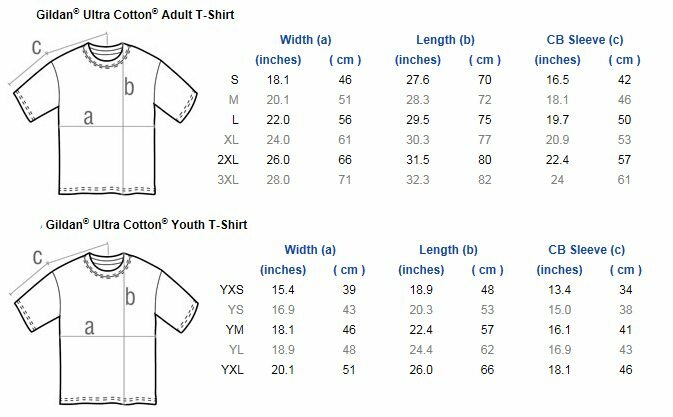 Please use the chart below to follow fit recommendations from Gildan.